…Or girlfriend or mom or what have you. Anyway, to the point. I have a sister-in-law who has a fantastic laundry system. Each person has their own basket. Laundry day is Monday. Sounds simple (and that’s the Reader’s Digest version), but really, it doesn’t need to be complicated. I have started a new laundry system for our little family recently. When My Mr. Right started his active duty training, we switched his ACU’s (Army Uniforms) to his dresser and his civilian clothes to the closet. Little Monkey sleeps in the dressing area back by the closet, so when My Mr. Right has to be up and gone early he doesn’t wake the baby (who isn’t so much a baby anymore). Anyway. Our system: We have three baskets (whites, darks and lights) for everyone. Then, My Mr. Right has a basket for his Army clothes. It is his responsibility to let me know when he needs more Army clothes washed. Sometimes he can use the same uniform two or three days, and some days are one-day only! So, sometimes once a week is enough and sometimes he needs a load or two more. The ACU basket doesn’t usually exist when he’s not on Active Duty Training. I do everyone’s laundry once a week. Unless it’s something icky and gross… like a diaper blow out or whatever. Some things just need to be taken care of ASAP. If having a set day will help out, pick one and stick to it. We have to juggle the laundry schedule with 8 people in our house right now though, so I don’t have a set day. 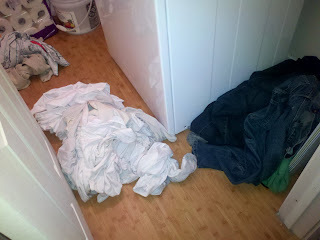 Usually, 3 loads gets all of our laundry done. I recommend taking all the clothes to the laundry room before you begin. It will be much easier to start the next load if you don’t have to go hunt it down, which will cut down on the amount of the day you spend doing the laundry (because I always end up getting side-tracked and the next load doesn’t get started immediately). 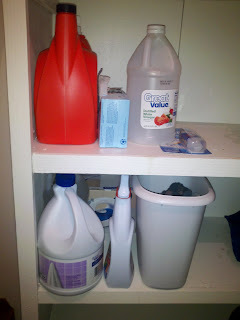 Have all of your supplies in a basket, on the shelf, or organized however you’d like. But, have them all in a central location. If you use peroxide, bleach or another treatment on stains before they get to the laundry room, have those supplies in each bathroom. That way you won’t have to hunt down the bottle the next time you need it. Store them safely away from the reach of your kiddos. I have a separate basket (an old ice cream bucket, actually) that I put clothes I have pre-treated, or will need to be pre-treated, in. That way I don’t miss a stain when I’m throwing things in the washer. I keep this basket in the laundry room, as that is usually where I pre-treat. If you pre-treat in the bathroom or somewhere else, it might be more convenient to keep it there. 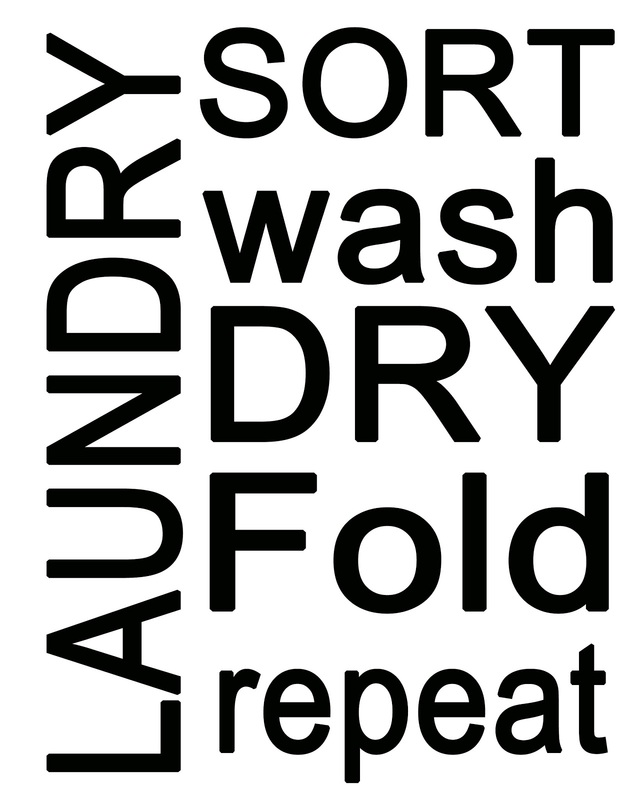 Follow whatever washing and drying routine you prefer. 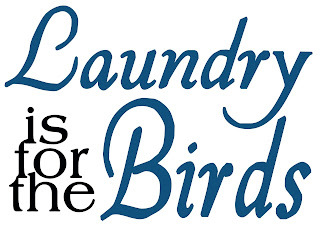 Lay sweaters, bras and other no-dryer articles on a drying rack until they are completely dry. If you dry them in the dryer, you risk shrinkage and damage. If you fold them before they are completely dry, they can mold. Eww. And a tragic disaster should it be your favorite sweater. It might seem like a huge hassle, but it will make your clothes last longer over time. Promise. This is my laundry system. 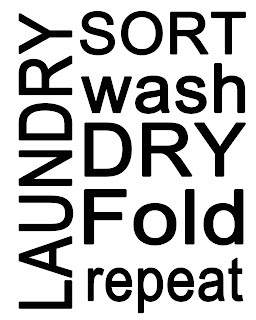 Laundry is something that is never done and sometimes the system needs to be adjusted as your family’s needs adjust. One thing I have learned is that you should NEVER have more clothing than you have room to store. This is something we tend to struggle with. Little Monkey got tons of hand-me-downs from cousins. I’ve had to weed through them a time or two, simply because we did not have the space to keep them all. One way to increase your current wardrobe space is to only keep the seasonal things in the closets and drawers. You’re not going to need shorts when there’s five feet of snow on the ground , so box them up and put them in the garage for winter. It’ll make your home less cluttered. And, because you read through all my dirty laundry (lame, I know), head over to 4shared and grab yourself one of these cuties. Who ever said your laundry room shouldn’t be decked out in some bling?! Go download and print these babies off! As always, enjoy and I’d love for you to share if you ever do anything with my printables. Thanks! Great ideas! Thought I would suggest a little idea that has been a real help for me. At WalMart I bought a small net laundry bag that is zippered; I think it is actually designed for bras. I got one for each member of the family and ask them to put their socks in it. The whole bag goes in the wash and then in the dryer. No more lost socks and it is much easier to find matching pairs. Great system, thanks for sharing! Thank you for sharing. 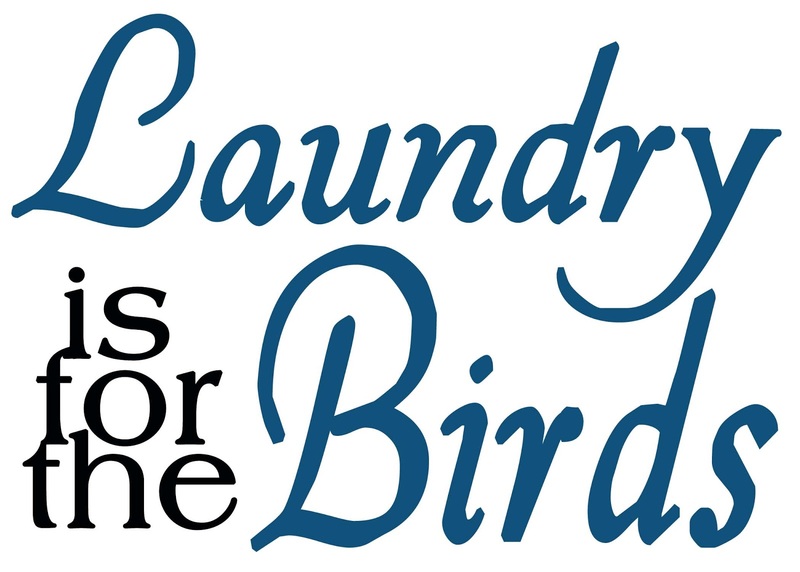 Laundry is for the birds..
Great tips…I definitely need a drying rack, using the towel racks is getting old fast! And I can only wash one or two sweaters at a time that can’t be put in the dryer! visiting from Lil Lunas link party and I LOVE the free printable it is so cute thank you so much. I love your blog by the way and am so happy that I found it through this party. Thank you for sharing your talents. I love your sign. I may steal it for my laundry room.